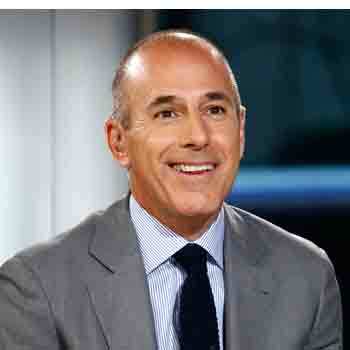 Matthew Todd Lauer, popularly known as Matt Lauer is an American television journalist. He is the current host of NBC’s The Today Show. He has been hosting the show since 1997. He is also a contributor to NBC’s show Dateline NBC. He has also worked as the host for PM magazine since 1980-1986, ESPN in the 1980s as a sideline reporter. He also served in some segments of HBO Entertainment News in the early 1990s. 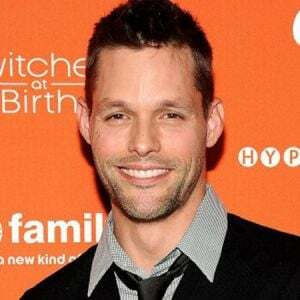 He also had previously served as a news anchor for The Today Show in 1994 and also as an anchor for WNBC based in New York City. He also served as a local talk-show host in Philadelphia, Boston, Richmond, and Providence. Matt Lauer was born in the year 1957 December 30 at New York City, New York from mother Marilyn Kolmer, a boutique owner and father Jay Robert Lauer, an executive in the bicycle-company owner. His parents got divorced when he was very young. He is half Jewish. He has graduated from School of Media Arts and Studies (before, School of Telecommunications) affiliated to Ohio University. It was in the year 1997 when he was 39 years old; he received his undergraduate degree from Ohio University. He had also attended Ivy Tech but dropped out. Also, in the beginning, he dropped out of his college so has been delayed in his undergraduate course. Lauer began his career in television in 1979 as a producer of 12 o’clock news for WOWK-TV in Huntington, West Virginia. In 1980, he began to be an on-air reporter for 6 and 11 o’clock newscasts. It was then, he began to move around the country to host different shows and talk programs. He also served in PM Magazine in Providence and moved to WNEW TV in 1984 until the show was canceled in 1986. He was the co-host to WNYW-TV’s Made in New York show. He also served in ESPN in the 1980s and also worked in the show “Talk of the Town” during 1988. From 1989 till 1991, he worked for WWOR-TV’s 9 Broadcast Plaza. He moved to WNBC in the year 1992 till 1996 co-anchoring the show Today in New York and early evening show called Live at Five. Alongside, he was working with NBC News. He joined with the NBC News in 1992 and still serving the channel. From 1992 till 1997, he worked as a fill-in anchor for the show Weekend Today and NBC News at Sunrise. He also served as fill-in news anchor for NBC’s Today. From 1994 till 1997, Lauer was a news anchor at Today and after 1997, he is serving as a co-anchor for the same show called Today. He also is serving as a contributing anchor for NBC’s Dateline NBC. He previously served as a correspondent from 2011-2013 in the show called Rock Center with Brian Williams. Matt Lauer's net worth is $60 million at present. He is a very experienced and talented journalist who has made the legacy in this field inspiring and encouraging the newbies. His annual salary is estimated to be $25 million. He stands at the height of five feet and eleven inches tall. He enjoys such a huge amount of net worth in his life. He is the third-highest-paid host of any program on television, behind only Ellen DeGeneres and Judge Judy Sheindlin, according to Business Insider’s rankings. Talking about his personal life, Matt is a married man. He has an interesting love life. 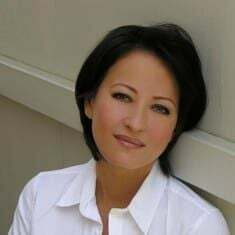 In 1981, he married a television producer named Nancy Alspaugh but due to misunderstandings and some issues, the marriage ended up in divorce in the year 1988. Later afterward, he dated with a television newscaster named Kirsten Gesswein. The relation lasted for 7 years from 1989 till 1996. Concerning the relation, they had also been engaged for a while but due to some issues, they got separated. In 1998, Matt married to a Dutch model Annette Roque popularly known as Jade. He has three children named Jack Matthew, Romy and Thijs from Annette. The relation faced up and downs. His wife Annette had filed divorce against him in 2006 but they reconcile and they are living together then after. There is no news of issues or problems in their relation till now. There are many fans of Matt. They can follow him on his Twitter and Facebook to know more on his recent activities and get updated with him. Also, his biography, articles, and information on him as well his pictures are widely found in the internet sites in a click away, benefiting to his fans who are eager to know more on him.